First you will learn the 9 Foundational Movements of CrossFit. : Squat, Front Squat, Overhead Squat, Press, Push Press, Push Jerk, Dead Lift, Sumo Dead Lift High Pull, Clean. Next you will be taught body-weight exercises such as push-ups, lunges, pull-ups, hand-stands followed by exercises that include kettle-bells, rings, rowers, medicine balls, jump ropes, plyo-boxes and dumbbells. Classes are approximately 1 hour. The first 10 minutes are dedicated to the warm-up, followed by 10 minutes of strength work; Then we stretch and preview the Workout of the Day (WOD); The WOD takes an average of 20-35 minutes to complete. CrossFit is for everybody! Functional movements are the focus and are essential to how we move our bodies everyday; CrossFit exercises and workouts are often times scaled in the beginning to match each persons level of ability and conditioning. Also, women have significantly less testosterone than men which makes it impossible to develop huge muscles naturally. Women who are body building are taking testosterone injections, eating a diet geared towards building muscle mass, and working out very differently than what we do in CrossFit. Getting bulky won't happen. CrossFit will help you burn fat and increase lean muscle mass. This results in a lean and “toned” body much like a dancer, and not a bodybuilder. 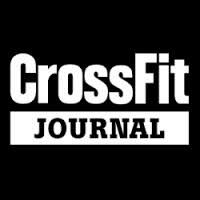 I can't do CrossFit because I have back/knee problems..now what? Many people are afraid to do any exercise much less CrossFit because of back or knee issues. The problem with exercise abstinence is that these areas never get strengthened. CrossFit can be used as rehab for injuries. Many people have come to us, unable to squat, lift anything off the ground or press anything overhead but CrossFit teaches you how to move properly and exercise with correct mechanics. This in turn helps you regain normal everyday movements with confidence and subsequently do more than you ever thought you could. We see examples of this every day in our gym! CrossFit is safe when done correctly. In the beginner classes we teach you proper mechanics for these functional movements, and continue to review them in the regular group setting.. We first teach you proper mechanics, we drill them consistently then we blend in the intensity. Any activity can result in injury. CrossFit is safer than most activities because we incorporate movements your body is designed to do.